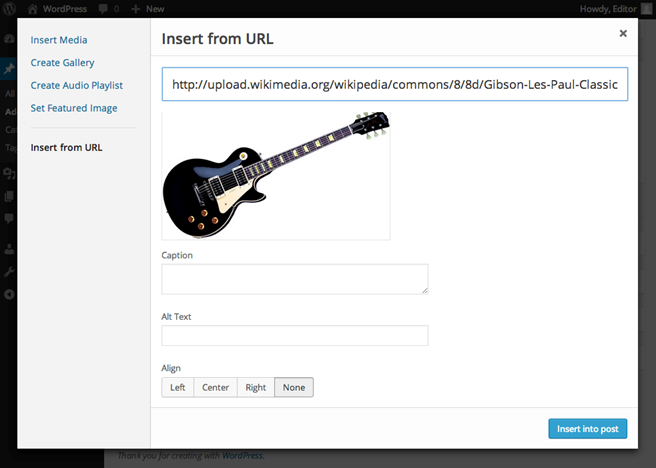 To add media from a URL, enter the full URL into the URL field, the media title into the Title field and a caption into the Image Caption field. Then choose the alignment of the image as None, Left, Center or Right as previously explained. Finally choose a link for the image and click on the Insert into Post button.